I’m rather annoyed with myself. 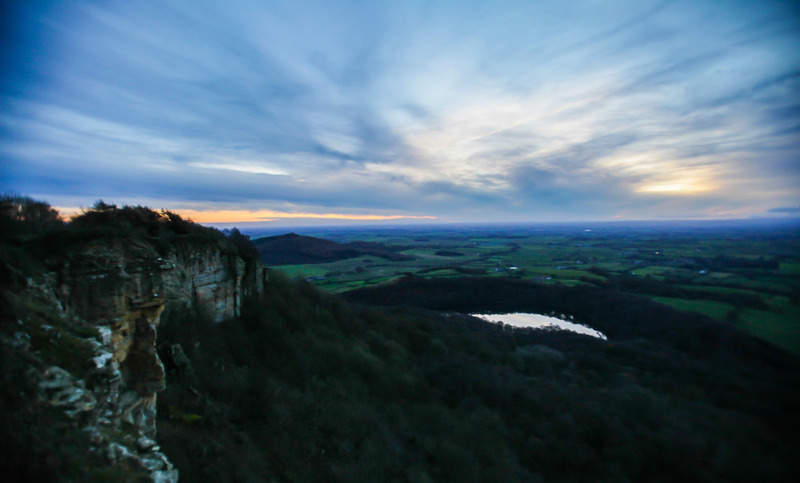 For three years whilst stationed with the Army just down the road in Thirsk, I lived just 20 minutes away from Sutton Bank, yet I never took advantage of the place, one that marks the edge of the North York Moors National Park. However, anyone who’s gazed from its summit can’t but marvel at the view, one that local vet and author James Herriot once said offered the ‘finest view in all of England’. It also happens to be a Dark Sky Discovery Site – so perfect for star-gazer. The thing with the North York Moors is that there’s so much to do. There’s the Cleveland Way which does a big loop around much of the Moors. And of course there’s tons of cycling routes, fell running and more to take advantage of. 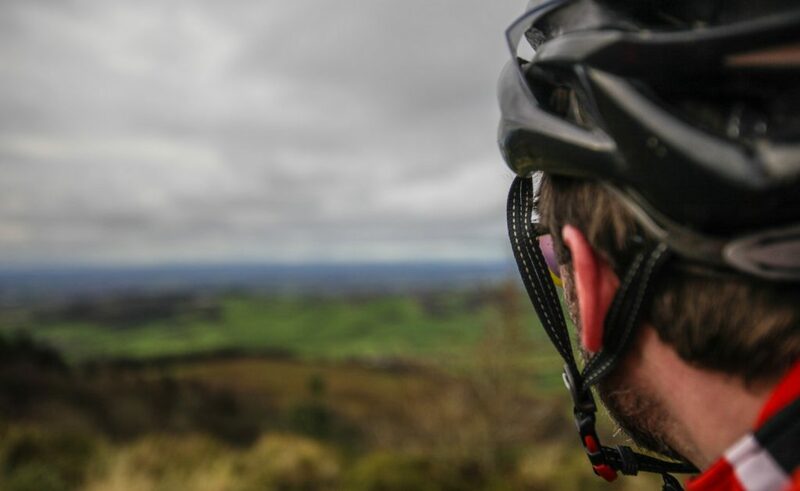 But having lived so close to Sutton Bank but not fully explored it, we decided to tackle the Paradise Trail – an 18 mile way marked mountain bike trail. It was supposed to take up to four hours, but it took us five. 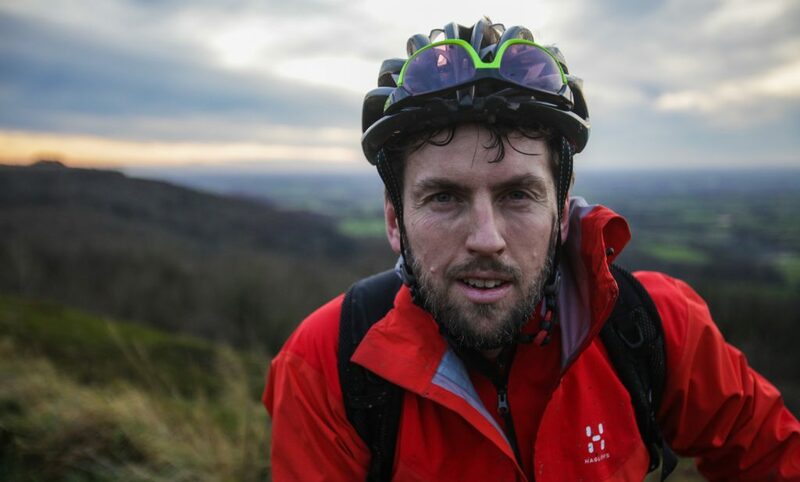 As any cyclist or mountain biker will tell you, going for a Sunday ride is all well and good, but if you don’t stop for a tea and cake, it doesn’t quite feel right. Indeed, it’s a common sight to see bikes parked up outside a cafe whilst their lycra clad owners hungrily gobble down a carrot cake and sip on lattes indoors. I’m no exception to that stereotype. 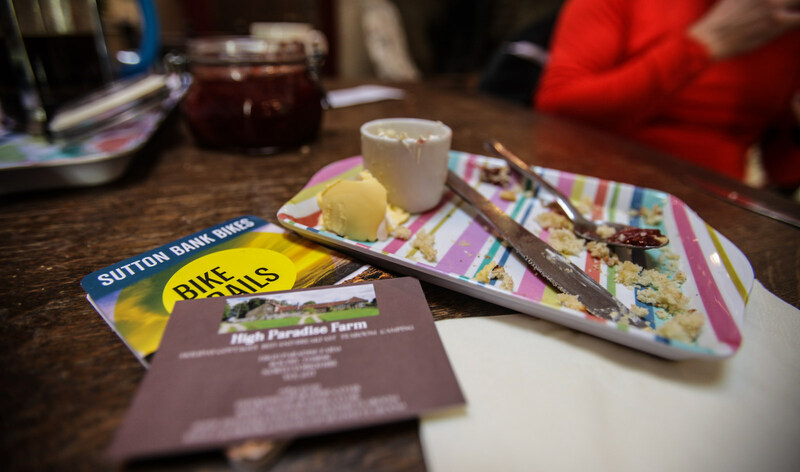 So when Dave and I stumbled upon High Paradise Farm Tea Room, a charming place farm sitting on the Cleveland Way and a third of our way along the Paradise Trail, we almost fell over with delight. It’s only been open a year, but it’s one of those gems that will have you coming back again. And with its log burning fire, fabulous cakes and warm atmosphere, it was quite a struggle to leave. Whilst tucking into a delicious scone with occasional slurps of a coffee, we talked about how our MINI adventure was developing. Planning a road trip of this proportion and an adventure in each National Park is quite challenging – as well as tiring. But we’re having the time of our lives. Today’s route, which is maintained by Sutton Bank Bikes, started and finished at the Sutton Bank Visitors Centre. The first part is groomed single track – nothing too technical but great fun. 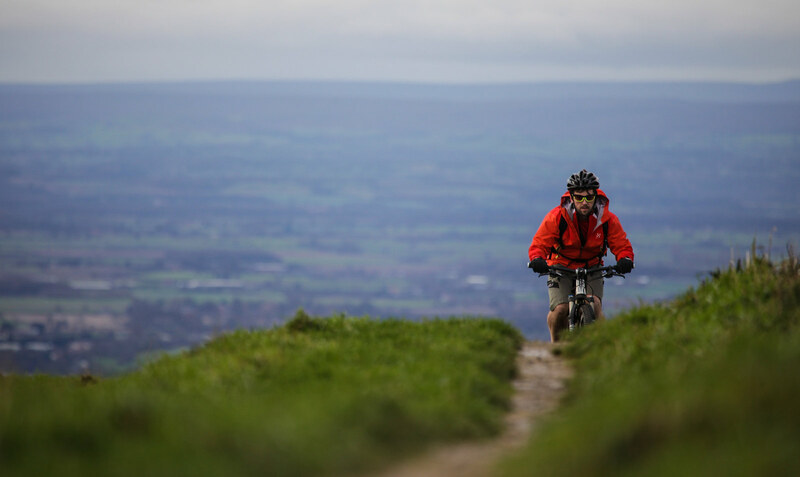 But once you hit the Cleveland Way, you’re into a new type of mountain biking, that will eventually turn into Bog Mountain Bike Snorkelling. Quagmire is not a word I use lightly when describing the route. Storm Desmond had clearly popped by the North York Moors on it’s round of the UK and left a muddy trail for us to follow. And then there was K2 – an impossibly hard climb with an average 17% gradient that would be difficult enough in the summer, let alone in winter when slippery and wet. It took us 7 minutes to walk up, versus the 2.14 fastest time recorded on Strava. By the time we got back to the Visitors’ Centre, we felt like we’d properly earned our dinner that evening. So we washed our bikes down, jumped back in the MINI Countryman and made our way to Wooler in the Northumberland National Park for a slap up meal, feeling somewhat weary, but very pleased with ourselves. 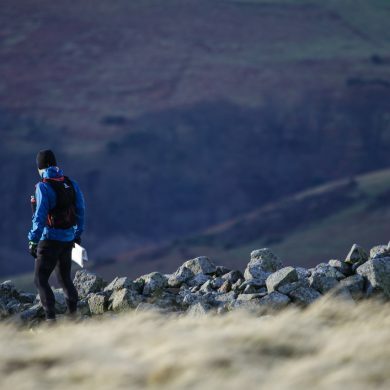 Tomorrow we’ll be running around the Cheviot Hills, exploring the ancient forts – one of its unique characteristics. High Paradise Farm – a charming Bed and Breakfast situated on the Cleveland Way. It also offers the most amazing tea and cake. 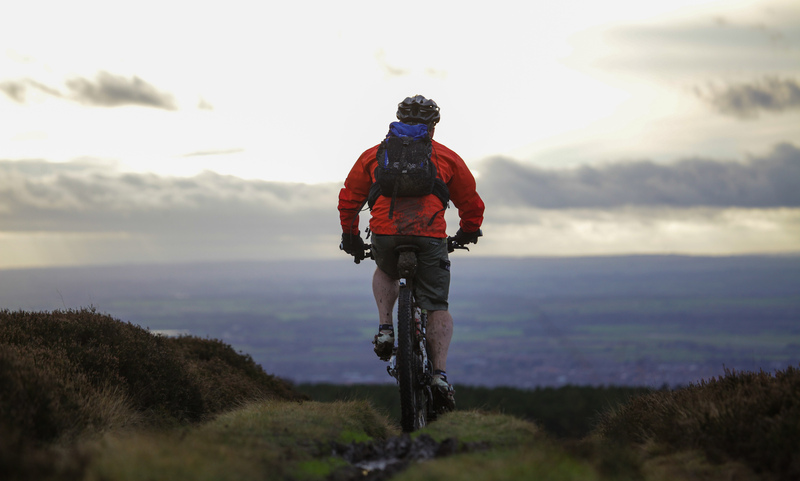 Sutton Bank Bikes, which is situated at the Tourist Centre, has demo bikes as well as plenty of bikes to hire.